The 18-hole Dave White Municipal Golf Course in Casa Grande, Arizona is a public golf course that opened in 1979. Designed by Gary Panks, Dave White Municipal Golf Course measures 6651 yards from the longest tees and has a slope rating of 121 and a 70. 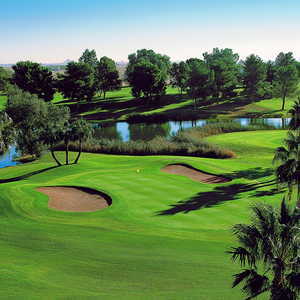 The 18-hole Francisco Grande Resort & Golf Club in Casa Grande, Arizona is a resort golf course that opened in 1962. Designed by Ralph Plummer, Francisco Grande Resort & Golf Club measures 7594 yards from the longest tees and has a slope rating of 126 and a 74. The 18-hole Mission Royale Golf Club in Casa Grande, Arizona is a public golf course that opened in 2004. Mission Royale Golf Club was designed by Greg Nash. 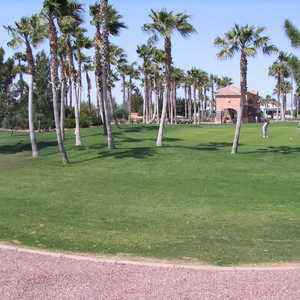 The 18-hole Palm Creek Golf Club in Casa Grande, Arizona is a public golf course that opened in 1999. Palm Creek Golf Club measures 2506 yards from the longest tees. The course features 3 sets of tees for different skill levels. The greens are bermuda and the fairways are bermuda. 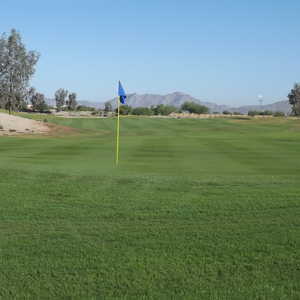 Tierra Grande Country Club in Casa Grande is situated halfway between Phoenix and Tucson. Originally opened in 1976, the golf course has a classic nine-hole design that was crafted by Jack Snyder. The course makes no claim of being formidable, but it does offer a casual round that is gentle enough for beginners but also provides great practice for more advanced players.